Did you know that your pets are in danger from getting sick from a mosquito bite, just like you are? Everyone knows that mosquitoes carry the Yellow fever virus, Dengue fever, Chikungunya fever, the Usutu virus, and (of course) the Zika virus. However, they can also carry things like Dirofilaria immitis, a parasite that can give your dog or cat heartworms. Fortunately, most mosquitoes are weak flyers, meaning that they aren't going to venture far from the water that they hatched in. 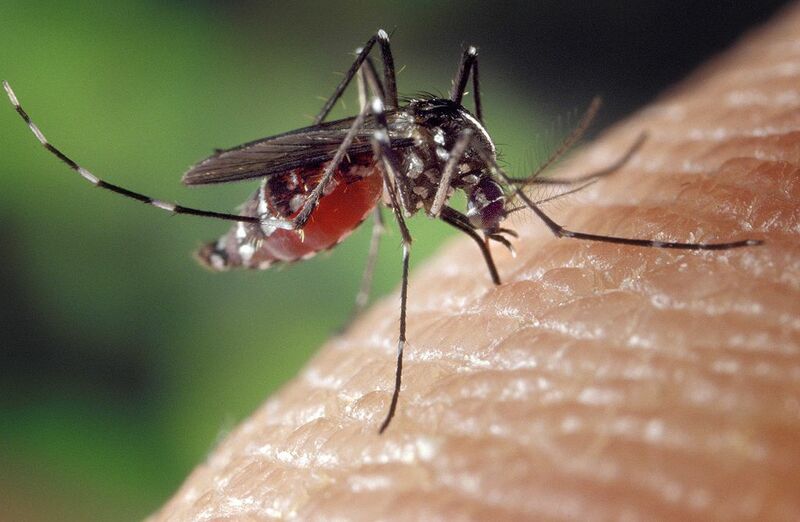 To prevent mosquito bites, remove any debris on your property that might fill up with rainwater and give a female mosquito a place to lay her eggs. Don't forget to check your gutters, too! And remember that we have a comprehensive mosquito service available. This is the time of year that a lot of people start seeing extra activity. 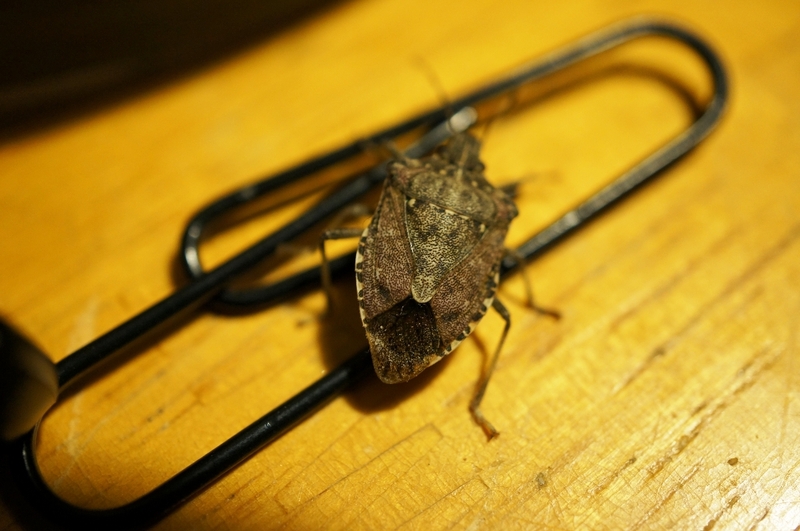 The stink bugs are looking for places to spend the winter, safe from the cold. Unfortunately, your climate-controlled house is perfect for hibernation! The trick to keeping the unwanted roomies at bay is to keep them from coming in in the first place. Make sure all cracks around the home -- around windows, door, siding, chimneys, and other openings -- are sealed, and if not seal them with a silicone or silicone-latex caulk. Replace any screens that have gotten damaged. However, stink bugs can still get in even a well-sealed house, so make an appointment to have us spray so you can be completely protected. Have you ever heard the phrase "quiet as a mouse"? Come to find out, it's far from true. 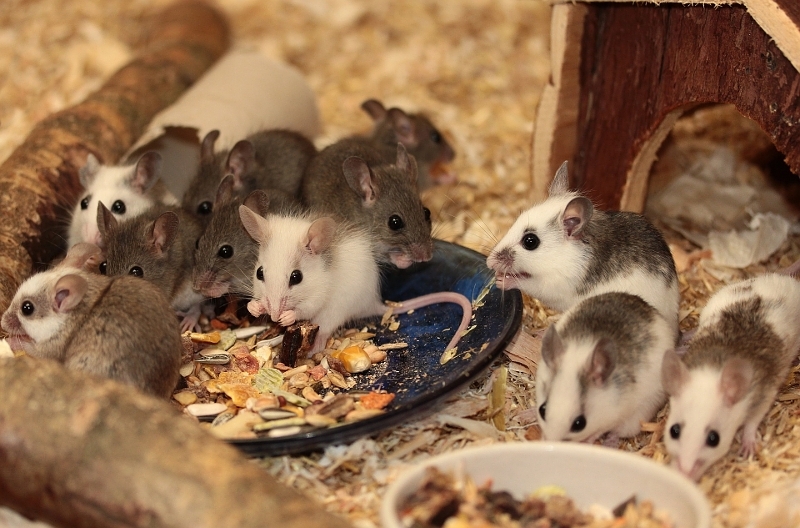 Mice use a variety of sounds to communicate, most of which are inaudible to the human ear. Male mice will even "sing" to attract a mate -- the only non-human "singing" species, other than bats and whales. When put together, male mice will even match pitch with each other. They also use other methods of communication. Mice use facial expressions to emote, just like humans, as well as their sense of smell. In fact, a mouse's smell is so powerful, Israeli scientists are training them to detect trace amounts of explosive materials, narcotics, even large amounts of money. The little rodents are more accurate than x-ray machines, full body scanners, and even more accurate than bomb-sniffing dogs. We typically think of ants as tiny and inconsequential; but, in fact, ants are one of the most numerous organisms on the planet. In fact, there are about 1.6 million individual ants per every human on earth, and ants make up 15-20% of the mass of all living organisms. As the weather continues to warm, our local ants will be out and about, looking for food and water. To keep them from finding their way into your home, make sure to clean up any food that gets spilled (including crumbs), don't leave dirty dishes unwashed for long periods of time, and make sure there isn't any standing water around the house (from a clogged drain or leaky faucet, for example). Ticks cannot jump or fly, but they can climb. They find a host by "questing" - holding their first pair of legs outstretched, and waiting for a host to walk by. When a suitable host brushes up against it, the tick will quickly climb on and begin to feed. Fortunately, a tick has to be attached for 24 hours or more to transmit disease. Unfortunately, ticks in this area have been known to transmit Rocky Mountain spotted fever, tularemia, and of course Lyme disease. Remember to check yourself, your children, and your animals for ticks after spending any time outdoors! This blog is intended as a source of information about all sort of pest species, from the common to the rare, from the relevant to the wacky. All of our work comes with a 100% satisfaction guarantee, assuring that you get the best service possible. If pests reinvade within two weeks of a single-service treatment, we'll come back and make it right. For free.